travis used to sell the only supply (of Oregon Tort), and thats one reason why the static between him and shaun. rick soutas used to hate it and had to send his customers over cuz that guy had none. we used to laugh about it all the time. he finally gave a few pieces back to shaun monahan and thats how he ended up getting it "back" and growing it out. when shaun sold his store, he sold all his colonies of the original torte to rick soutas(a other competitor in portland is rick soutas) to **** travis off. also travis "never" had it first.... shaun had it first but it was dying for both him and myself. lol.... basically i said give it to travis, your display lagoon is killing whats left.... i know he is your competitor but its worth a try. you see what most people dont know behind the story and why its so chopped up is this. shaun monahan worked for travis before he ever opened his own shop. shaun left to become the competitor and tried stealing customers. which you cant really steal, and thats why the hard... cold.. bloody.... static. they actually tried to be friends a few times but i think customers played against one another. shaun had a very small part but made it his ultimate destiny. My name is Shaun Monahan and I imported the ORIGINAL Oregon Tort back in late 1998. It was originally a beige color. This is about the time the first 20k 400w Radiums became available, and this (then beige) coral was mounted about 6" from the water line, directly under the 400w 20k Radium in my store's (Waves Marine Aquaria) 150g display. 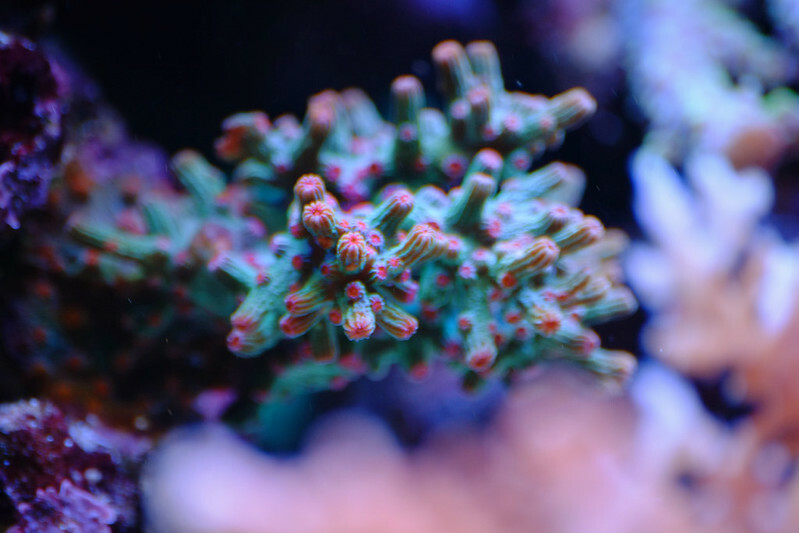 Within a few days this coral started to develop the solid deep blue coloration it's well known for today. This coral was imported from Bali - NOT the SOLOMONS or any other local- I cannot speak for the "other" torts, and where they've originated from, just this one. This tort was starting to show some signs of RTN along the base, so Travis and I ended up trading some SPS. Once I fragged my tort, it ended up completely bleaching out then next day. 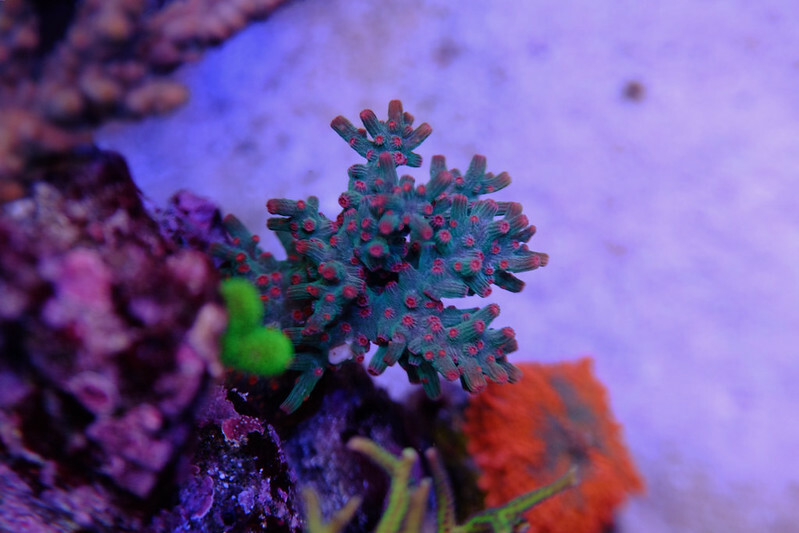 So, Travis thankfully ended up saving this coral, growing it out, and fragging it to sell. And I hope this clarifies.